Bringing chefs from around the world to a warehouse space in Sai Ying Pun, we speak to founder Vincent Mui to learn more about TEST KITCHEN and what we can anticipate for 2017. 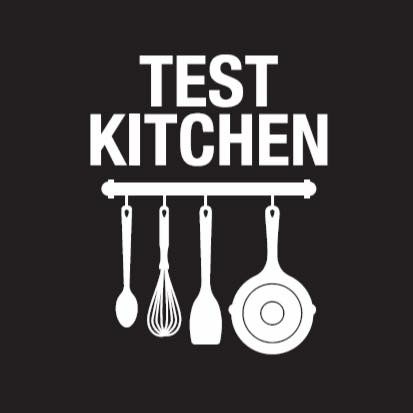 What is TEST KITCHEN and what inspired you to start? TEST KITCHEN is a pop-up dining movement based in Hong Kong, whose purpose is to showcase chefs and share their passion and love, and getting into the minds of up-and-coming chefs. Guests can expect a unique experience. These chefs push their boundaries at Test Kitchen – it’s also quite experimental as often their recipes are prototype menus, so our guest’s feedback helps them. Our ultimate goal is to help chefs grow and improve from the experience while our guests get to taste innovative dishes in an inspiring environment. Why Sai Ying Pun? What do you like most about the area? I love the space, we did a popup here before we took the space on a more permanent lease. Our guests and chefs really enjoyed it, it gives us the backbone to grow and improve. Most important is the people we love with has a place they can call home and grow and learn together. I love the modesty of the neighborhood and the kindness and genuineness of people around. The wet market where we get most of our produce from has loads to offer and many amazingly fresh produce to experiment from. Building relationships with business owners and the neighborhood is probably one of my favorite part of all this as well. It’s very satisfying and makes all this that much more purposeful. Can you share with us your favourite moment of TEST KITCHEN so far? Its Christmas in 2016, and everyone in the team got together and had hotpot in the space. Nothing better than spending time with your family during Christmas holidays. Can you tell us what’s in store for TEST KITCHEN in 2017? We are looking to extend the platform to more local chefs, giving them the resources needed to push their own boundaries and cook their food and telling their stories. And when possible, we’d love to give back to the community and make a small difference.